Free parking adjacent to the Hotel & Bistro. 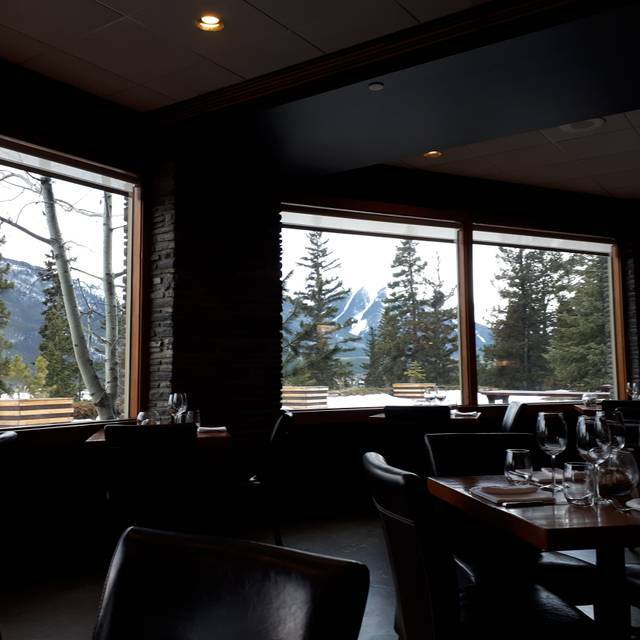 Our Vermilion Lakes Room is conveniently adjacent to the Juniper Bistro and is available as a private function room with southerly facing views allowing for abundant light and stunning mountain vistas. An ideal venue for smaller gatherings. 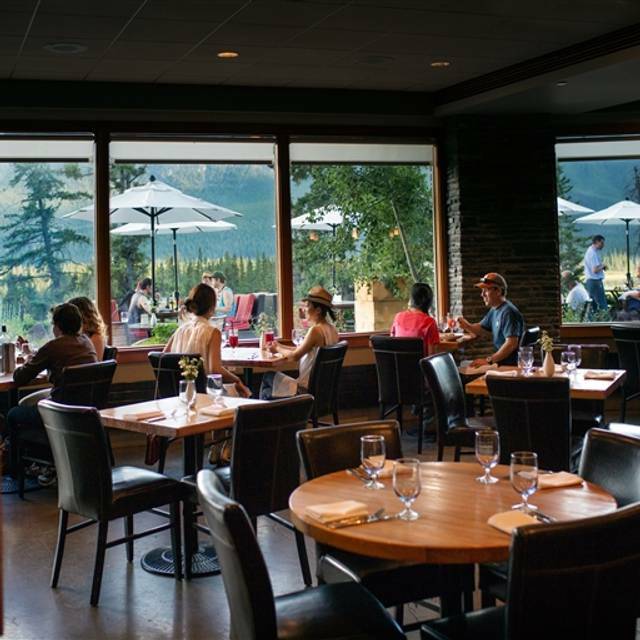 The wall-to-wall glass at the Juniper Bistro looks out over one of the most renowned vistas in North America. Join us for locally-inspired food that’s the ideal complement to a day of hiking, cycling, skiing, or downtown shopping. 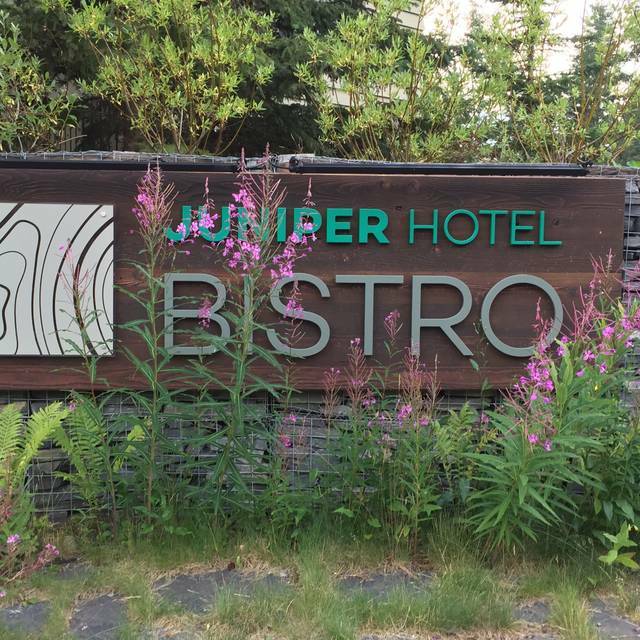 The Juniper Bistro features seasonal Canadian cuisine in a casual dining atmosphere. From our in-house bakery to the spirit of our menu, our chefs create fresh, delicious meals with a handcrafted and sustainable spirit. We are proud to offer gluten-free and vegetarian options for every meal. Please note we will be offering our famous brunch in buffet style for mothers day, no a la carte will be available throughout the day. Enjoy all your brunch favorites till 2pm with carvery, fixings, trimmings, nibbles, treats from local alberta suppliers and farmers all day long. Thanks mom! We ordered the 'Beets' and 'Beef Tenderloin'. Both were delicious and filling. My wife, who rarely drinks, thoroughly enjoyed her cocktail as well. I can't recall the name, but it had gin and Juniper berries. Wish we could have had a seat by the window but otherwise great atmosphere and our waitress was very nice and gave great recommendations of the food. Yes! Great location. Amazing food. The eating area is very relaxing - summer seating on the deck is amazing with the views. Go for it! We enjoyed brunch on the weekend. Both enjoyed our plates. The music was quite loud for a mid morning brunch. Brunch at the Juniper is a wonderful experience, unless you don't enjoy delicious regional cuisine, with wonderful views into the valley. Their hollandaise is fantastic, eggs are always perfectly cooked and the choices on the menu will leave you struggling to choose. Great food. Great service. Book a bit later in the evening if you want to avoid young children. We'll be back. Amazing restaurant with a fabulous view. All our food was delish, and the drinks excellent too. Gorgeous spot overlooking the Mountains and Banff. Definitely go BEFORE sunset to catch the best views. 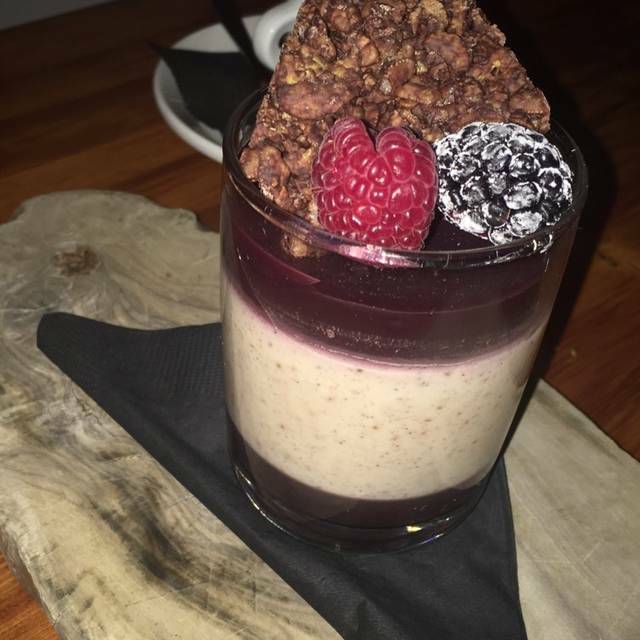 There are plenty of Vegan and Vegetarian and Gluten Free options on the menu too if you are one, or are with someone who is. Food was amazing; also the appetizers were huge and could have been split between 4 people. Scenery was great; there were deer munching on the gardens just outside the windows. Service was good, but could have been quicker and more attentive, a few lags on refills, etc. Since the restaurant is attached to a hotel, many guests may be eating there, at one point a couple at the table beside us had their screaming toddler with them which diminished the enjoyment of the environment and really stopped the floor of conversation. Overall really good. We had brunch earlier at Juniper Bistro and enjoyed it so much that we came back for dinner another day. The food was excellent again. The adults had the wild game duo for two comprising of braised bison short ribs and rabbit legs cooked in duck fat. Desserts were excellent as well. All ingredients were fresh, local and flavorful. They have a limited kids menu as well. An absolutely fantastic breakfast. Service was outstanding. Food was exceptional. Amazing experience overall. Will be back when in the area again for sure. Thanks again! We were seated by the windows that overlook the most beautiful mountains. Our server was attentive without being intrusive and gave us some great tips on an alternate drive back to Calgary. The food was well prepared and beautifully presented. We ordered the Tenderloin, the fish, and the duck breast - we ended up all sharing because everything was so good. Lovely location, staff and food. I personally would not recommend the chocolate lava cake, I have had it on two occasions and have found it rather dry on both. But the rest of the food I have had there is exceptional. We had a lovely view by the window. The service was very good. Kale salad was excellent, we had the tenderloin and the scallops with bacon. Both were very good and nicely presented. Juniper was recommended to us to try from another server in Banff. 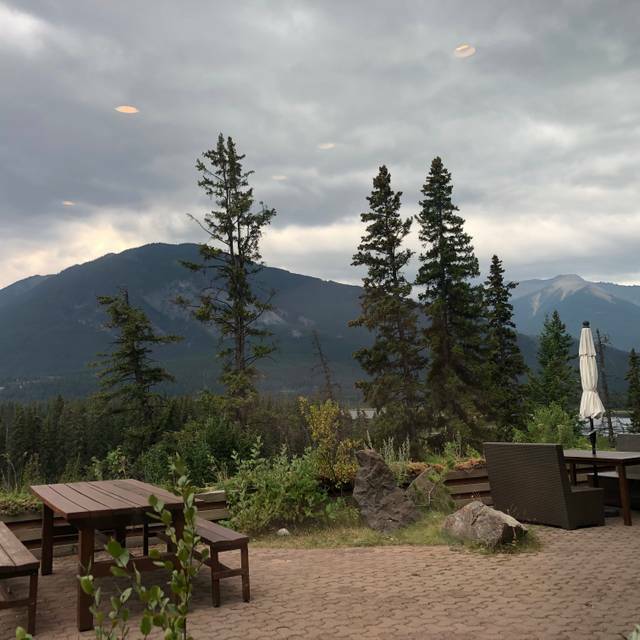 And Wow we were blown away by the amazing view, the service and food.. All 3 meals were so good, try the Rancheros and their Juniper Sage Tea which is created by the Banff Tea Co is also a must try. Will be back again. fantastic breakfast! great service! total gem of a spot! This was our second time at the Bistro and it won’t be our last. The menu is diverse and delicious, and the service is exceptional. Food was great, waitress was rude. Really Great food for a surprisingly lower price then you'd find at other resort hotels in Banff. 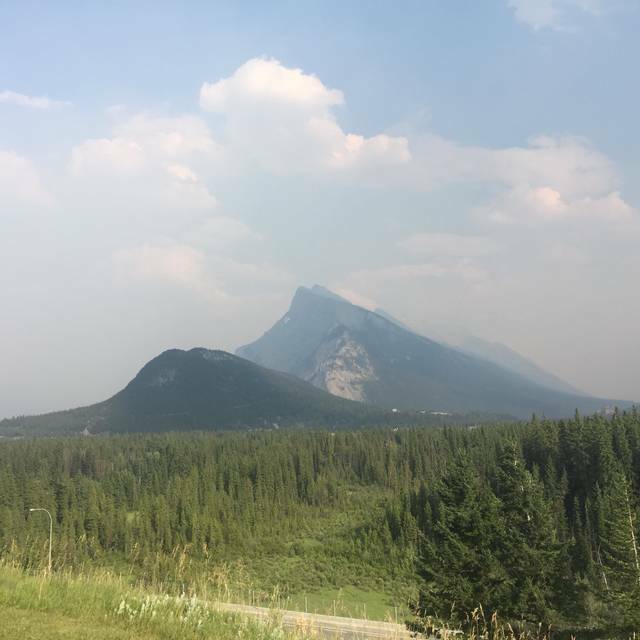 A must-stop for us for whenever we pass through Banff. 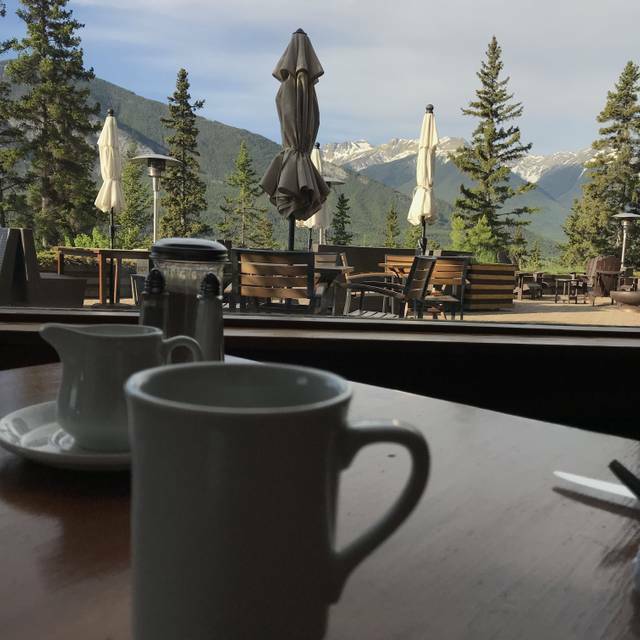 We sometimes make trips to Banff just to have breakfast at Juniper. Food here is amazing and priced reasonably. The whole atmosphere along with the view is very inviting and calm. Hands down the best bistro in town, I don’t think we’ll ever have enough of this place! Overall excellent dining experience. Started with great cocktails (coconut chili margarita was excellent in particular), followed with great starters (wild mushrooms and kale salad were both very good), and kept going with great mains (duck breast was outstanding, wild boar very good). Dessert (campfire tartlett) was very good, too. Quiet and romantic ambience. Great views of the landscape (when the sun is shining). Our server was friendly and considerate. We have been to the Juniper Bistro twice now. Our most recent visit was an exceptionally good experience. We were offered a seat by fireplace to enjoy our cocktails, had a delicious meal then sat by the fireplace again to enjoy another drink. Came to the Juniper for Valentine's Day. It was $49 for a 3 course meal, which was quite the deal. The portions were a tad bit on the smaller side if you're really hungry but everything was really tasty. Our waiter was also quick, friendly and attentive. We had a great night at the Juniper. The service was excellent and the food was outstanding. The Juniper Bistro’s food, service, and ambiance are all top notch. Every dish we had (both dinner and breakfast) was unique and perfectly executed. The restaurant is a very nice, cozy space with amazing views. We were there with our children and they were treated so well by the staff and their food was amazing too! Can’t wait to return. Best place in Banff for breakfast ! And we are locals ! Fabulous food! The mushroom dish was incredible as well as the kale salad. We love the Juniper Bistro for its spectacular views and excellent food. It's not an extensive menu, but it has enough choices to satisfy most palates. The Kennebec fries are amazing, some of the best we've ever eaten. Service is friendly and professional. 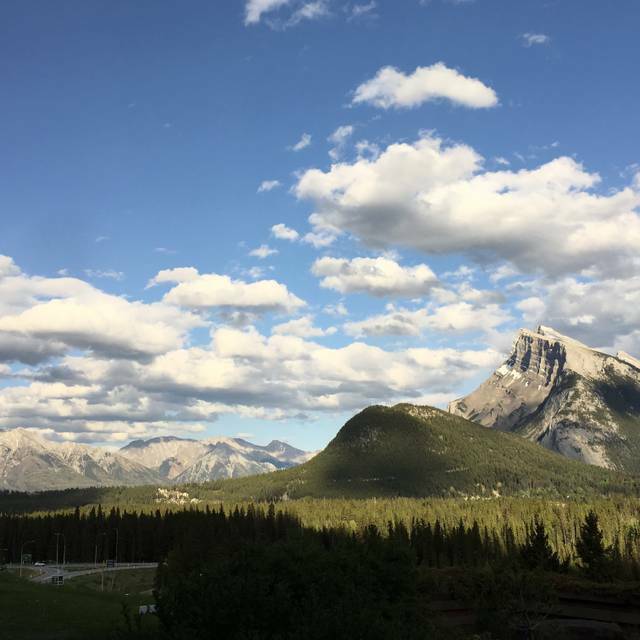 One of the better properties in Banff for a special meal and a great hotel stay. The Juniper is cool. The native art & the fireplace are really nice. It's not a hustle type of experience & you can relax & enjoy a fine meal that the staff & cooks take pride in creating. I would highly recommend it & don't be afraid to try a few things to really see how creative the kitchen is. By the way the drinks were super fun also!! There were two large parties and not enough staff the night we ate here, so we sat at least 25 mins between getting our table and ordering our food. The food was good but for the price I've had far better dining experiences. It was fine but I wouldn't return. I've been to the Juniper Bistro many times and have never been disappointed. From the quality of the food, the creativity of the menu, the ambience, the service, everything about this restaurant exceeds my expectations. Highly recommend. We had a wonderful anniversary dinner at Juniper Bistro. Great service, stunning view, pleasant atmosphere. Our appetizers were great (bone marrow and jerusalem artichoke soup) and the majority of our entree was wonderful. We ordered the Game Duo, which included confit rabbit and bison two ways as well as some delicious potatoes and various roasted and pickled vegetables. Unfortunately, the bison was far overcooked for our liking. 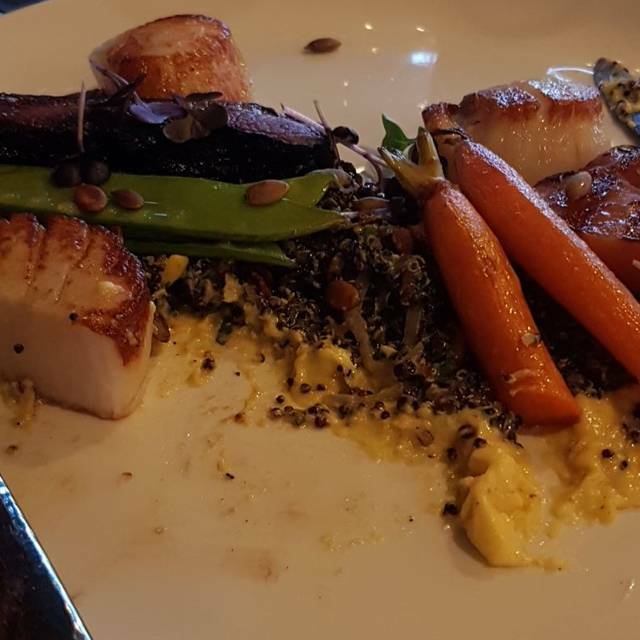 We will probably not order this dish again, but will absolutely return to Juniper -- the view is simply stunning and the service was great! Overall, this restaurant is worth the trip. The restaurant had great reviews but without the view it was just an overpriced restaurant. It was winter and dark so didn’t get the view. The restaurant itself wasn’t anything special but I’m sure in the summer people don’t look inside much. Service was good but not above and beyond considering there were only two other tables. The charcuterie board was excellent but our mains weren’t worth what we paid. Our bill was almost $200 but the experience was not what it should have been.